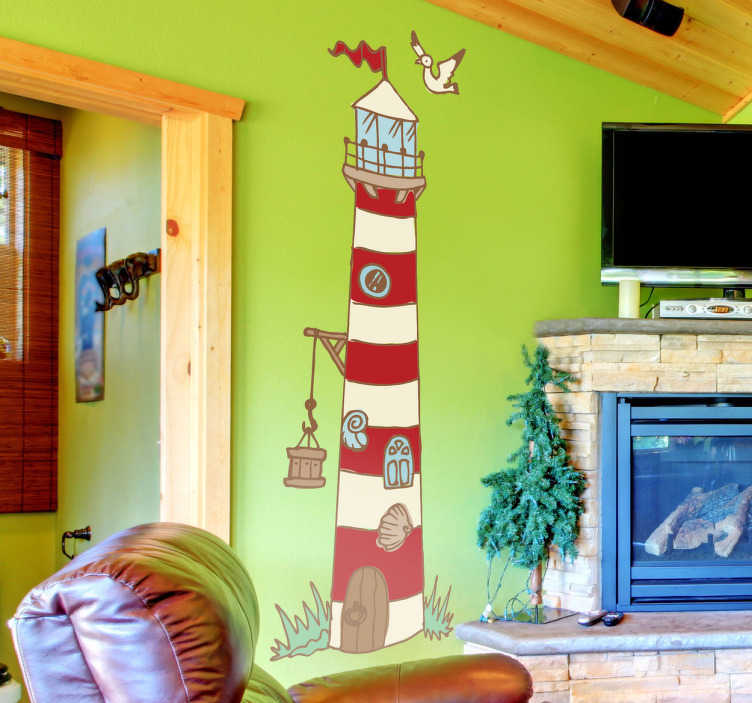 A decorative decal of a lighthouse made for kids environments. This design from our collection of sea wall stickers is ideal for children. Create a cheerful atmosphere for your kids and give your home a touch of originality with this seaside wall art decal. This magnificent lighthouse for kids is very easy to apply and does not leave any residue on surface upon removal. Available in different sizes.